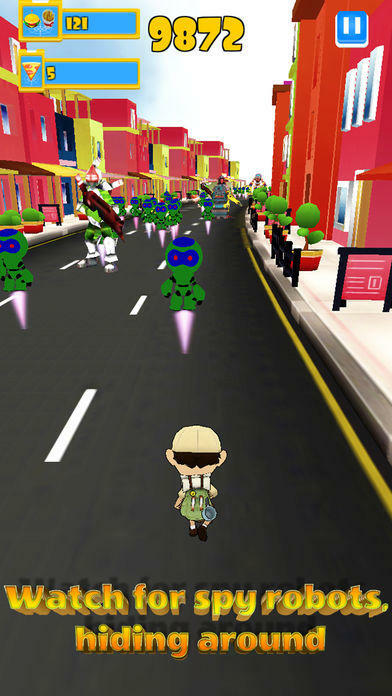 Run, dash and clash with robots and drones in Robot Clash Run! 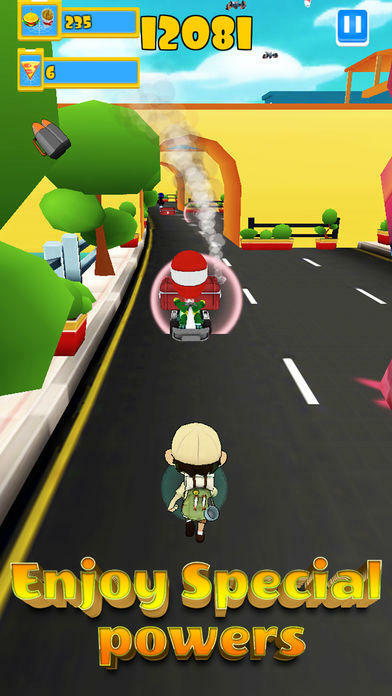 Sprint through a unique, fun, fast and challenging endless runner with endless colorful slopes, twists, turns and tunnels. Jump, kick, fly and switch lanes as you run through fun arcade-style levels, catching as many burgers, fries and pizzas as you can! The more you grab, the more points you earn! Test your reflexes in this addicting platformer that leaves you running back for more. Clash and defend Earth from a Clan of Evil Robots and Drones as you run, jump and kick them off every platform, even in the sky! Sound easy? 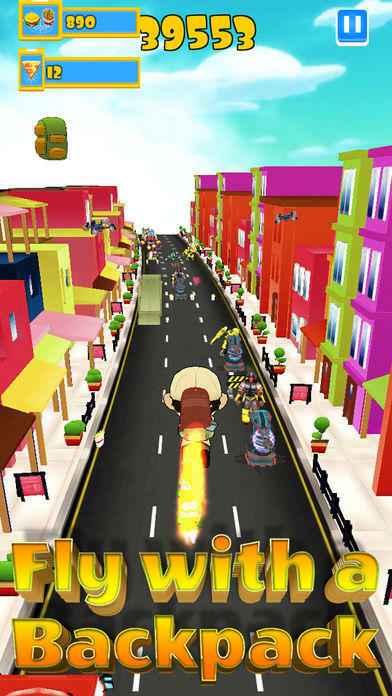 Dodge hundreds of obstacles and see how far you can run! Start running in Robot Clash Run! Are you ready to take part in the race against the machines? 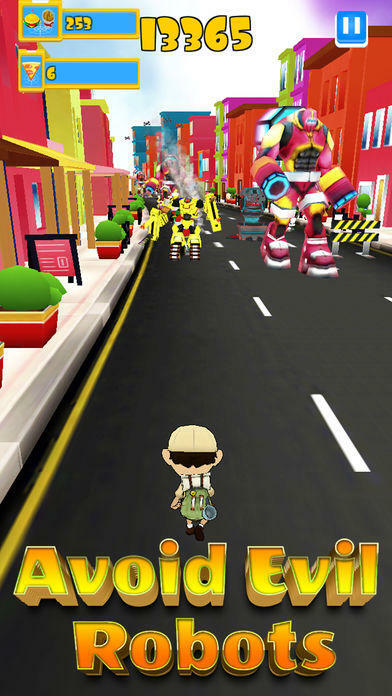 See how far you can run in Robot Clash Run today! New Machines, More Burgers and More Fries for every one !! More Flights, More Fights, watch out Drones ! New Robots, New Tricks !! Can you identify the new friends or enemies ? Minor bug fixes, Major Performance Improvements. 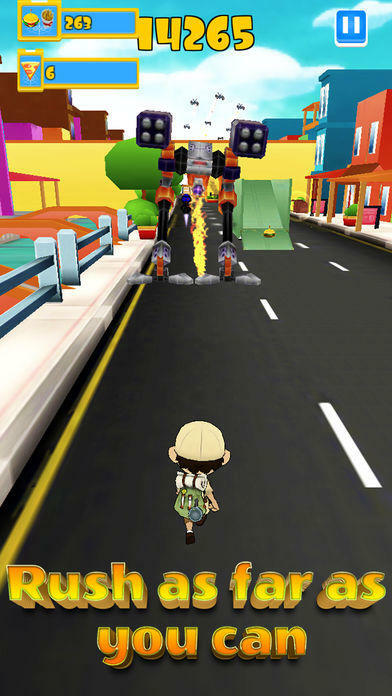 Download: Robot Clash Run - Fun Endless Runner Arcade Game!